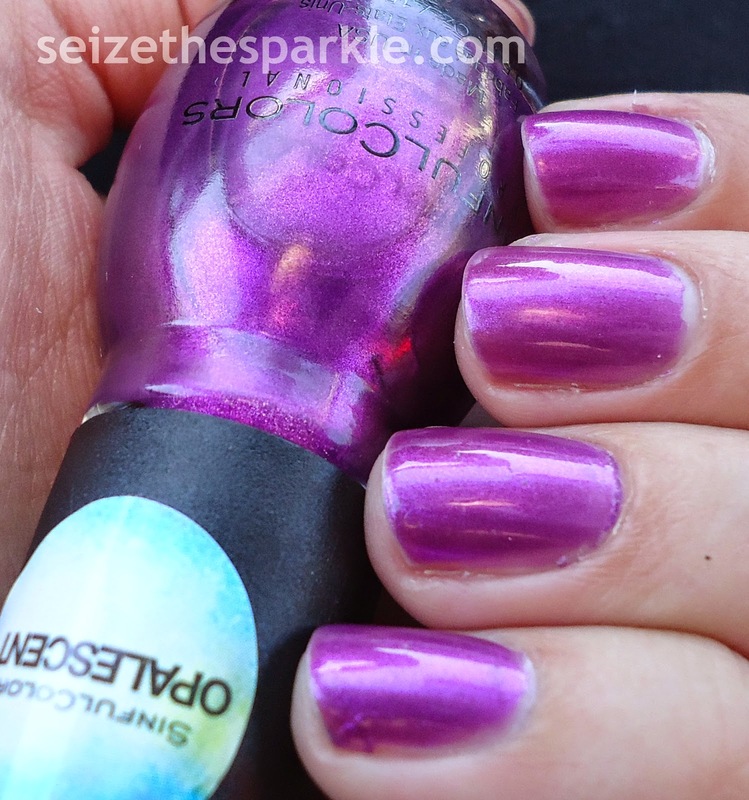 In all honesty, when it comes to purple polish, I just can't get enough! Purple is one of my favorite colors, but clothing-wise it doesn't always work out. Polish-wise? It always looks ah-mazing. Probably one of the reason I've got so many purple polishes in my stash... but Flight To See is definitely unique. For starters, it glows, guys. The pigments in it are just the prettiest shade of purple, dubbed "prismatic plum" by SinfulColors, and I couldn't have described it better. Second of all, the shimmer is a shade or two lighter than the base coat, giving Flight To See major shine! Thirdly, it works great as a top coat, but it also builds well enough that you can wear it all by itself like I did. Application was super easy, just three quick coats and done! Flight To See is part of SinfulColors Spring Fever Flight Patterns Collection. You can find it on display at Walgreens, Rite-Aid, and other mass retailers for $1.99 a bottle! The full Spring Fever Collection also contains Cloud 9, Cream Pink, Energetic Red, Feel The Vibe, Flower Power, Gold Medal, Horizon Shine, Innocent, Let's Meet, Let's Talk, Nail Junkie, Navy I Do, Petal Be The Day, Prized Plume, Ring The Belini, Sail La Vie, Savage, Sheer Flight, Standing Bloom Only, Tempest, Thimbleberry, Why Not, and Zest of Times. Follow SinfulColors on Facebook, Instagram, and Twitter!